Recently I’ve received some support emails from users asking about custom triplets and other tuplets. 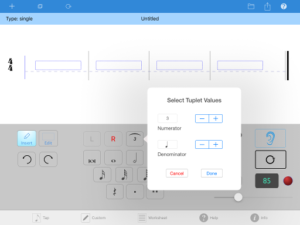 Two things became apparent: 1) The method for creating tuplets is not completely clear for some users; and 2) there were some bugs related to tuplet creation. To address the first point, here is a tutorial which should help clarify the process. 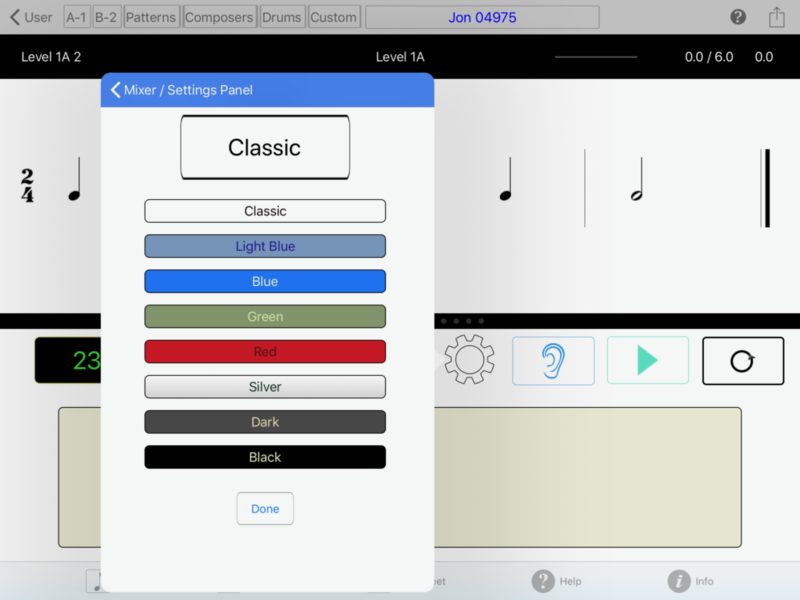 To address the second point, an updated version of Rhythm Lab (3.2.2) with bug fixes has been submitted to the App Store for review, and should be available shortly. c) Cancel and Done buttons. Important! The denominator value cannot be larger than the currently available space in the measure. For example, if there are only two quarter note beats available in the measure, the largest possible denominator is a half note. In that case, if you select a value larger than a half note, nothing will happen. The dialogue will remain on the screen, waiting for a permissible denominator value. 2. 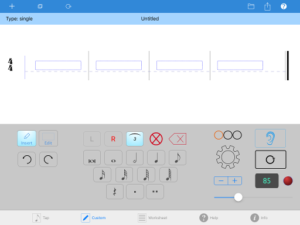 Once the Done button is pressed, the dialog will disappear and the Tuplet Button will be highlighted in blue, displaying the numerator value. 3. With the Tuplet Button highlighted, you may now select a rhythmic value to enter into the tuplet group. Simply select the value you want and tap anywhere in the white pattern region to insert it. Important! If you select a value larger than the denominator value, you will get an error message! 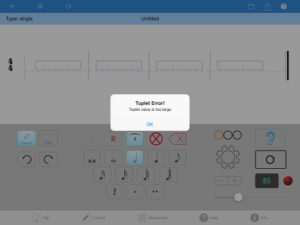 For example, if you selected a quarter note as the denominator, and try to enter a half note value into the tuplet group, you will get an error message. 4. Continue to select and enter rhythmic values until the tuplet is finished. Know what options are available and how to access them. 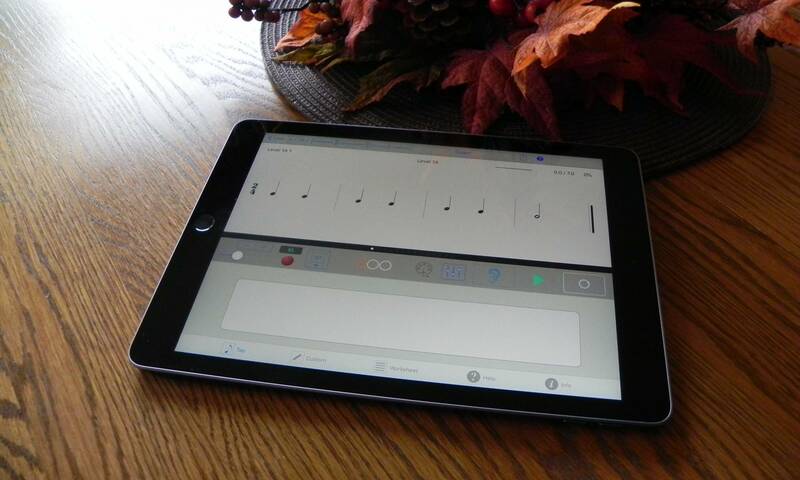 Become aware of less-obvious features, like MIDI Send, import and export user groups from/to different iPads, save custom patterns to use on other iPads, select sounds and notes for individual pads. 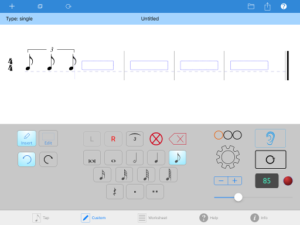 The FAQs should provide another handy reference for users who want to get the most out of Rhythm Lab, and also provide a quick overview of the main features for new and occasional users. 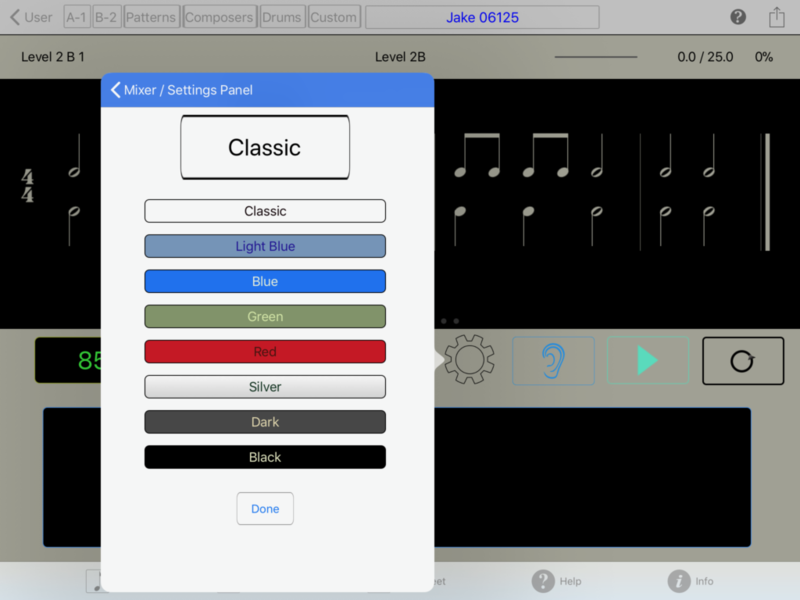 Rhythm Lab 3.2 is here – with colorful new features! 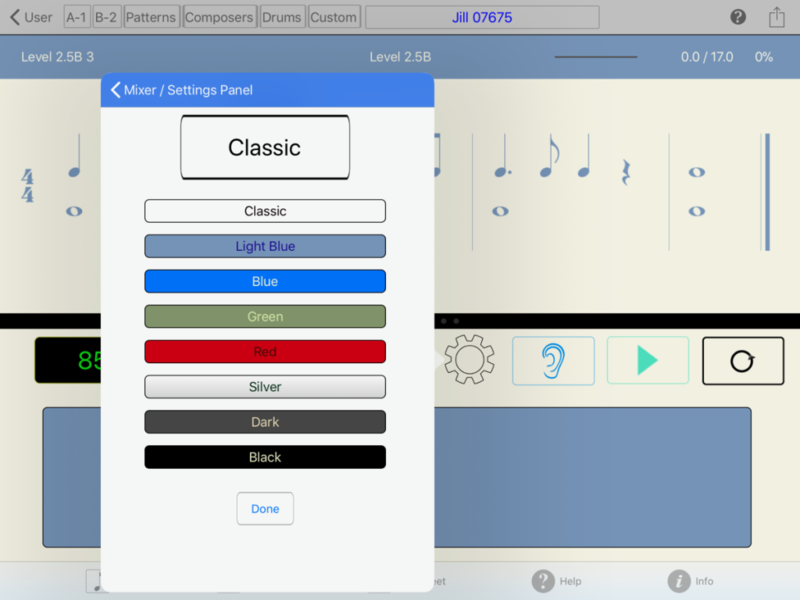 The newest version of Rhythm Lab – 3.2 – is now available on the App Store. This update allows users to choose color templates – eight total – to give the app a different look and feel. It also includes a few bug fixes, including the tendency of the app to crash when opening a saved user file. If you need to remove and reload the app for some reason, saving the user file first allows you to avoid losing all of the user data. If you want to have user data stored on more than one iPad, this feature allows you to do that easily. If you upgrade to a newer iPad, you can save user data and import it once you’ve loaded Rhythm Lab on the new iPad. If you want to save records of previous users (students from previous years or semesters, for example) without taking up space on your current installation, this feature allows you to do that archiving. The German magazine OKEY included Rhythm Lab in its November-December 2016 issue (No. 133) . The “Workshop” section featured an article titled “Die Musikstunde: Spaß und Erfolg im Musikunterricht” (“The Music Lesson: Fun and Success in Music Class”) by Robert Karasek, which included a short review of Rhythm Lab. Thank you Okey Magazine and Robert Karasek for including Rhythm Lab! 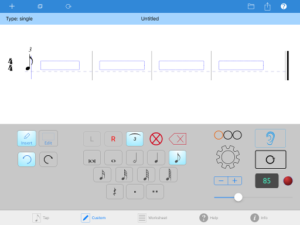 Leila Viss, the author of 88 Creative Keys blog, piano teacher, and blogger, interviewed me about Rhythm Lab as part of her Rhythm Make It Count series. The video is included on the Videos page (Here to Help Video #3), and can be found on YouTube.